Today in Masonic History George Earle Chamberlain Sr. passes away in 1928. 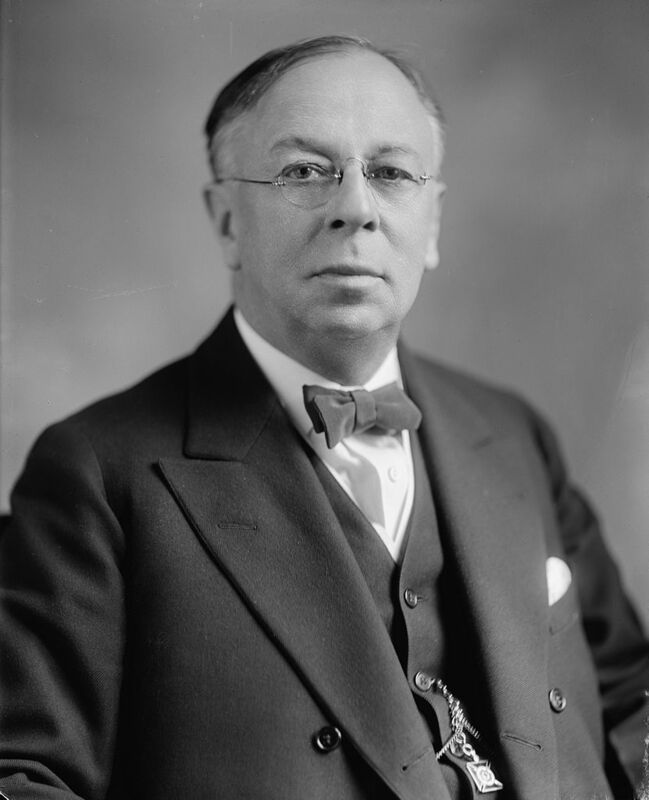 George Earle Chamberlain Sr. was an American politician. Chamberlain was born January 1st, 1854 in Natchez, Mississippi. He attended local public school graduating in 1870 at the age of 16. He worked for the next years as a clerk in a general merchandise store. At 18 he went to Washington and Lee University in Lexington, Virginia. He graduated in 1876 with dual degrees, a Bachelor of Arts and a Bachelor of Law. After graduating, Chamberlain returned to Natchez. By the end of 1876 he had decided that professional prospects in the post-bellum south were marginal at best. He then moved to Oregon. Once in Oregon he started working as a teacher in Linn County schools. In 1877 he was appointed clerk of Linn County, serving in that position for two years. During that time he passed the bar in Oregon. In 1878 he joined the Linn County Rifles a militia whose purpose was to protect against local Indian tribes during what was called the Bannock Wars. In 1880, Chamberlain was elected as a Democrat to the Oregon House of Representatives. In 1884 he was named district attorney for Oregon's 3rd judicial district. This gained him some recognition for the skill which he executed the duties of his position. In 1891 the Oregon Legislature created the position of Attorney General and Chamberlain was appointed as the first Attorney General of Oregon. That same year he stood for election into the position, despite being the minority party candidate during that election cycle. He left the position in 1895 and would be the only Democrat to hold that position for 58 years. For the next five years Chamberlain worked in the banking industry, working for the First National Bank in Albany, Oregon. In 1900, he ran for district attorney, this time for Multnomah County where he won by a 1,000 votes despite the 4,000 person Republican majority in the county. In 1902, Chamberlain won the Democratic nomination for Governor. He went on to win the general election by just 256 votes. He was reelected in 1906. In 1908 he was elected to the United States Senate and resigned as Governor. He served in the United states Senate until 1921 when he failed to win reelection in 1920. From 1921 to 1923 Chamberlain was a member of the United States Shipping Board. He went on to practice law in Washington, D.C.
Chamberlain passed away on July 9th, 1928. Chamberlain was a member of St. John's Lodge No. 62 in Albany, Oregon. He was a past master of his lodge and was the Grand High Priest of Royal Arch Masons of Oregon.